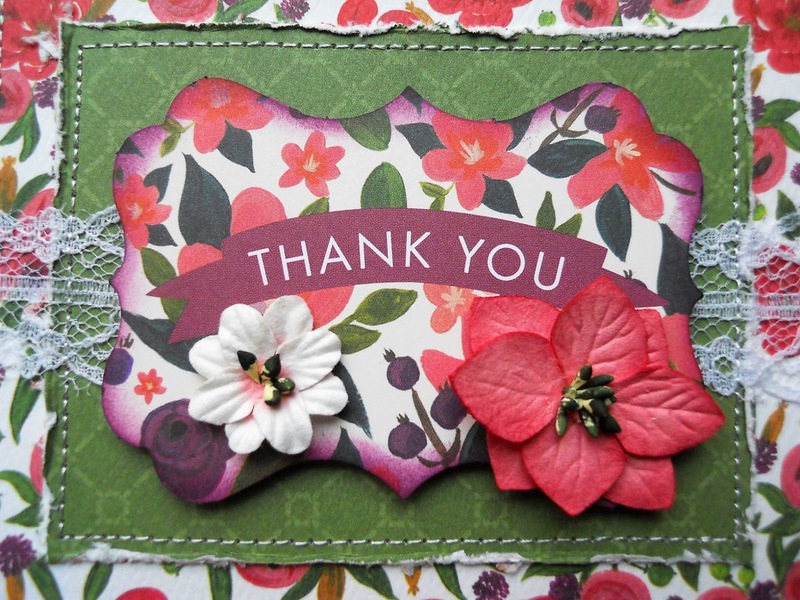 It's always a great idea to have some extra Thank You cards on hand, as you never know when you may need one! 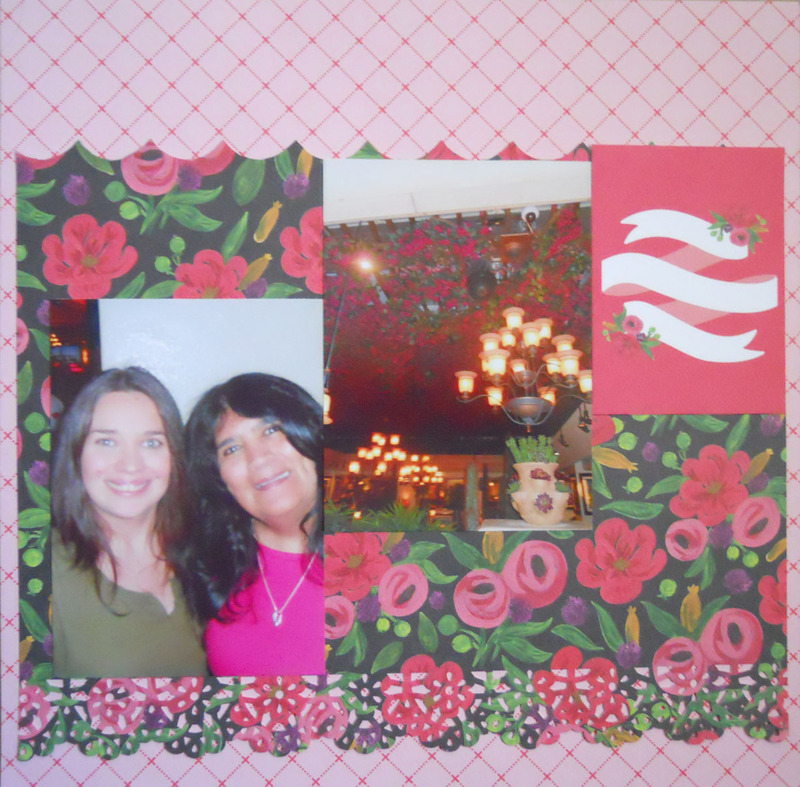 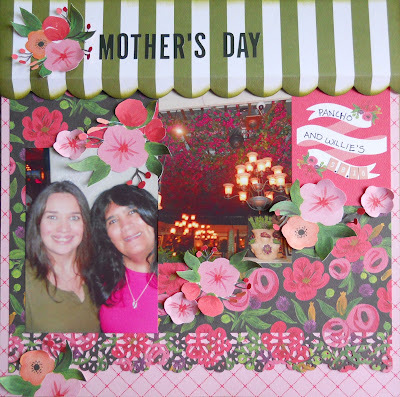 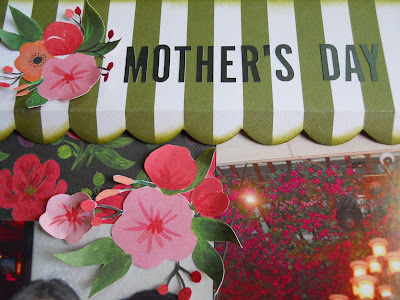 Drea here with the FotoBella Design Team, sharing a couple that I made with Carta Bella's Flora no. 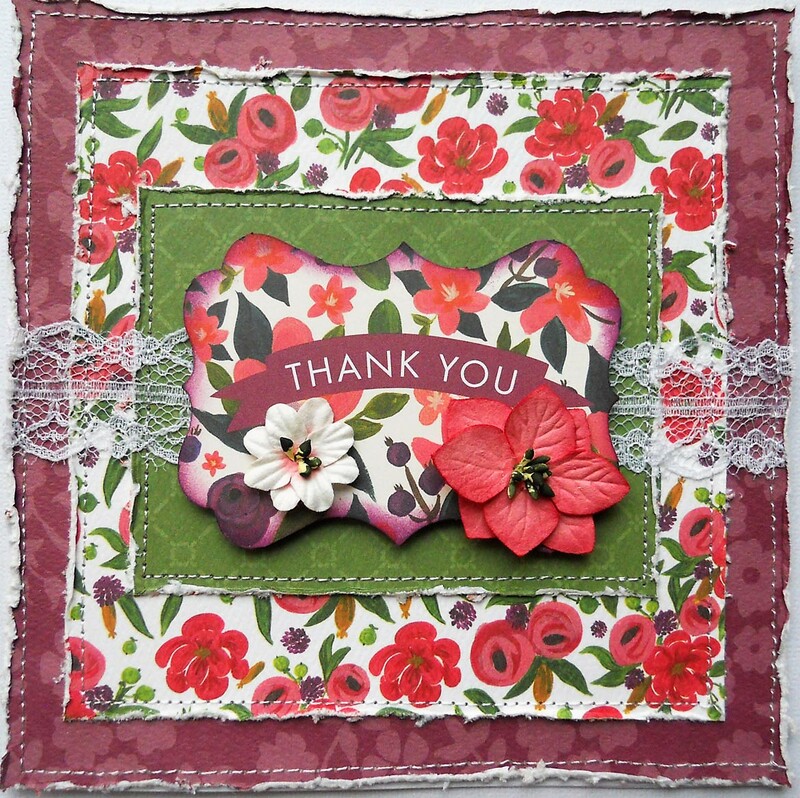 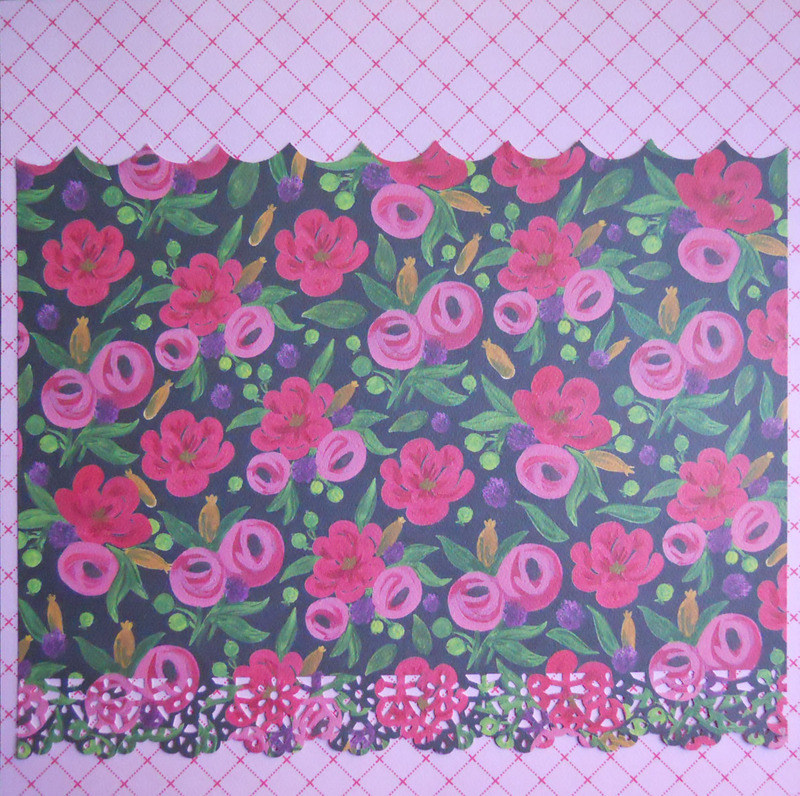 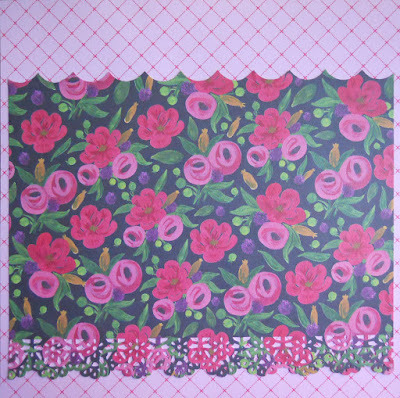 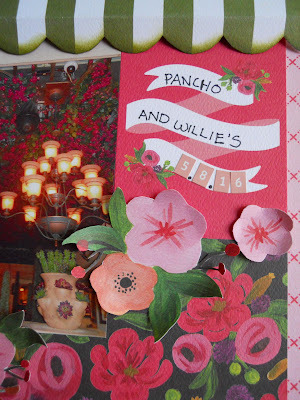 1 12 X 12 Collection Kit, Ephemera, and Petaloo's Mixed Blossoms. 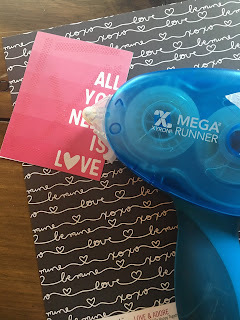 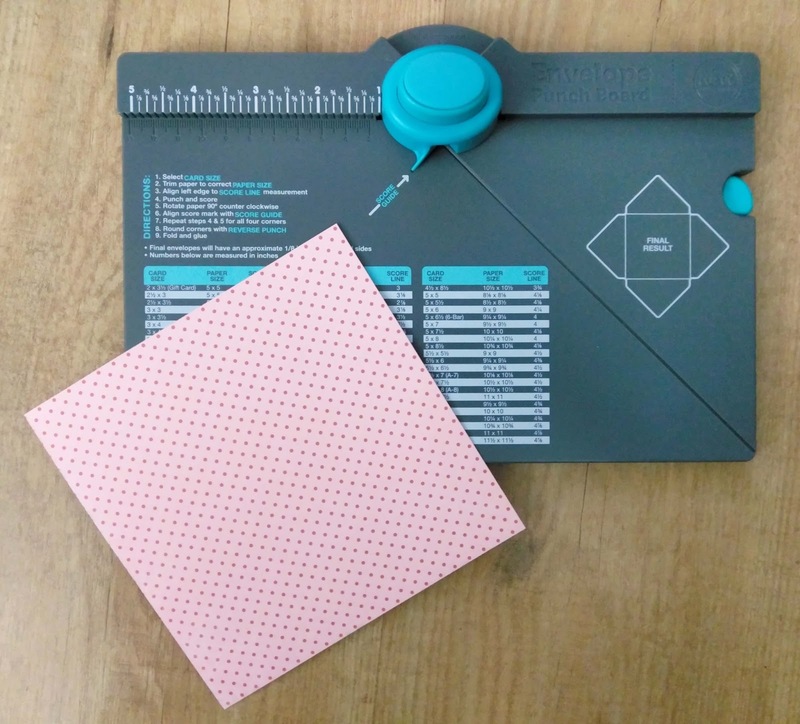 The extra heavyweight papers were perfect for distressing with the Tim Holtz Paper Distresser, yet light and sturdy enough for my sewing machine! 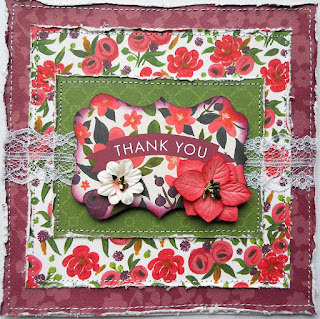 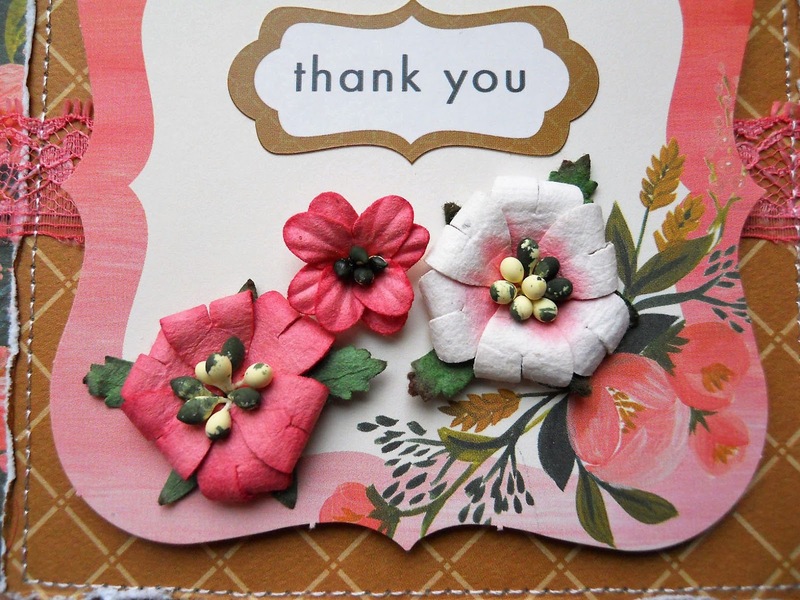 I used the Thank You sticker from the kit, adding some Petaloo Mixed Blossoms, which look like they popped right off of the papers. 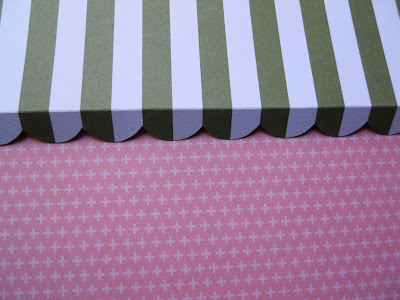 The strips of lace came from my own stash, which I lightly glued down before stitching! 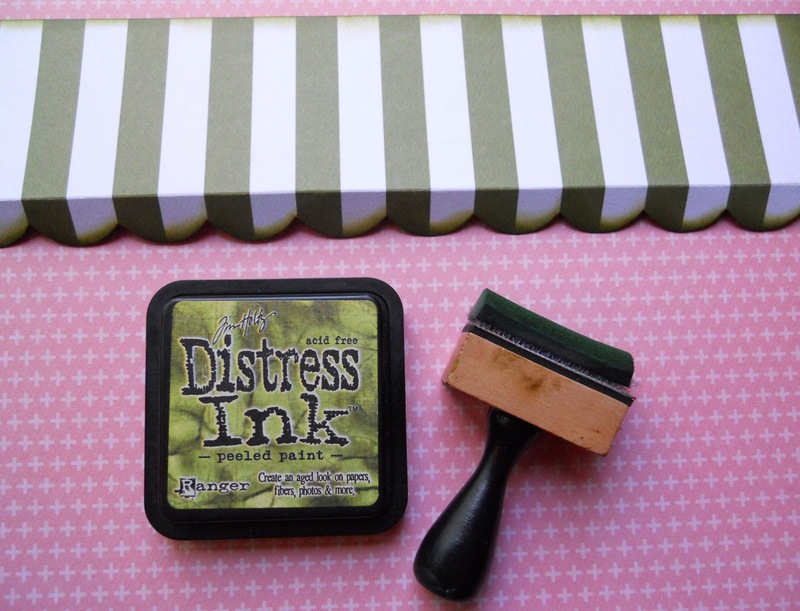 I popped up the dies from the Ephemera, using Seedless Preserves Distress Ink around the edges of this one. 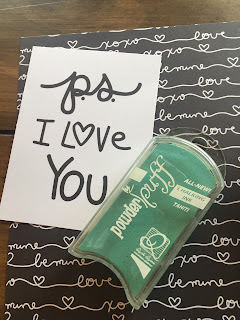 Thank YOU for looking, and shop FotoBella.com for all these supplies and more! 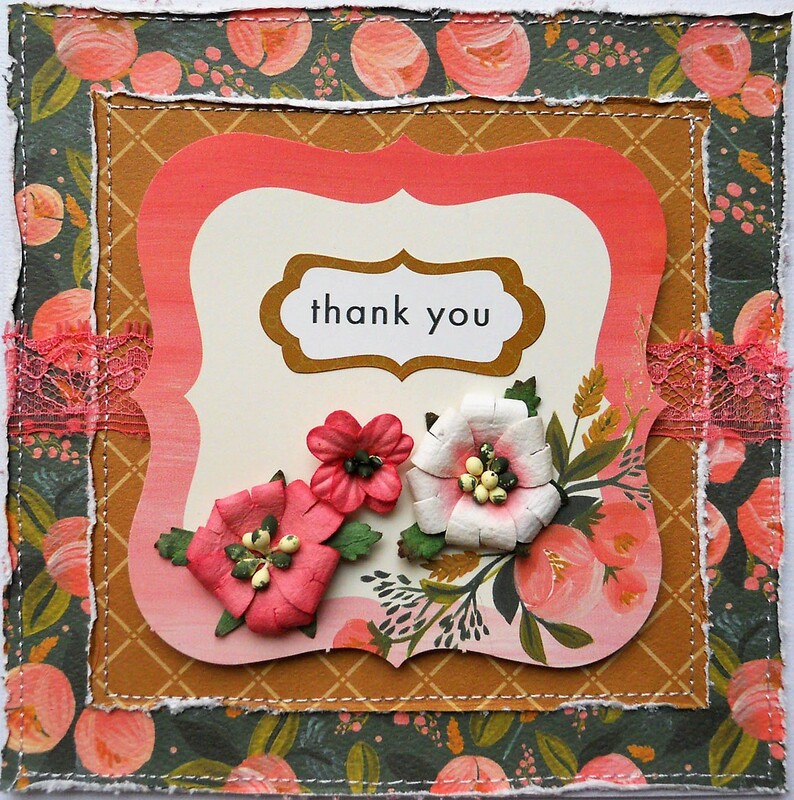 Hi all, it's Jeri here with the FotoBella Design Team. 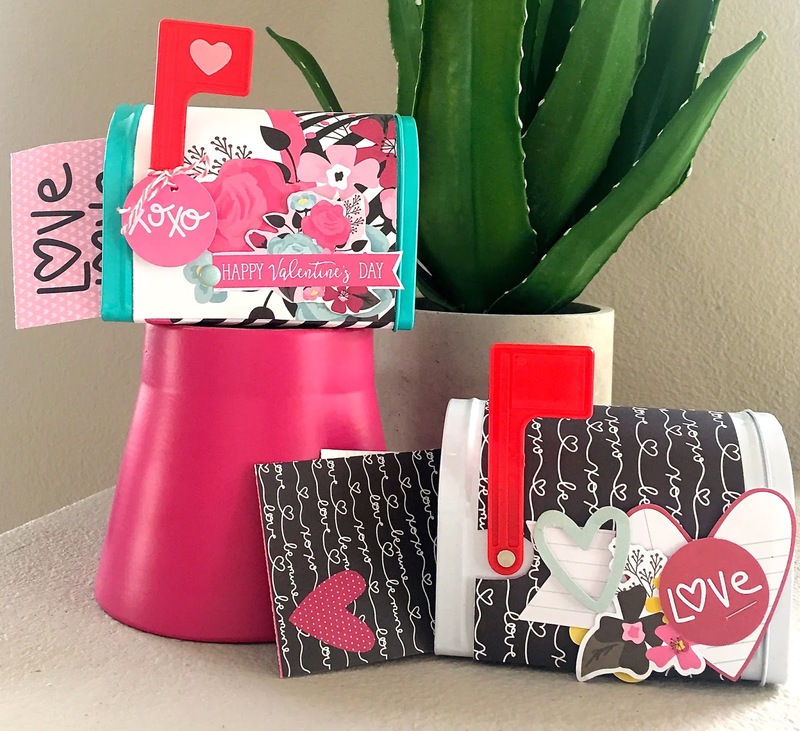 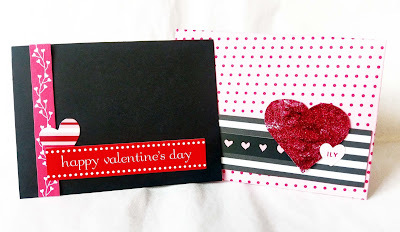 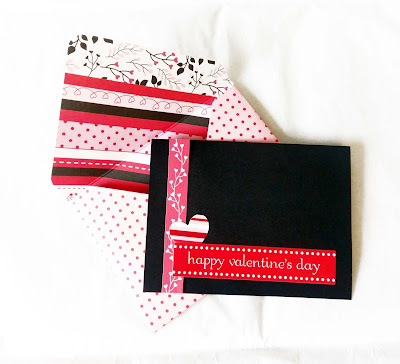 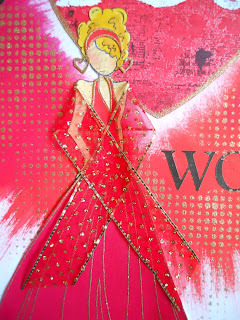 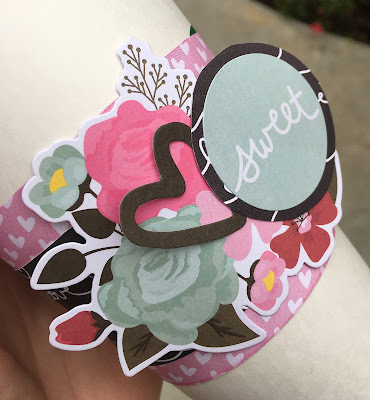 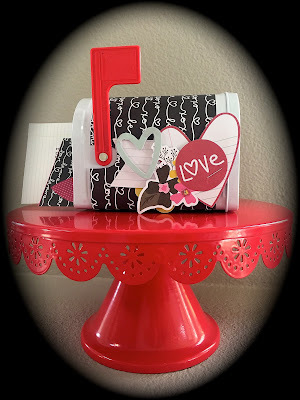 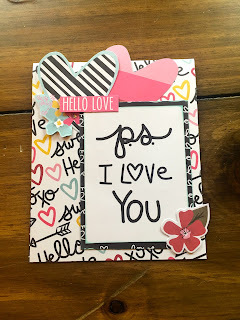 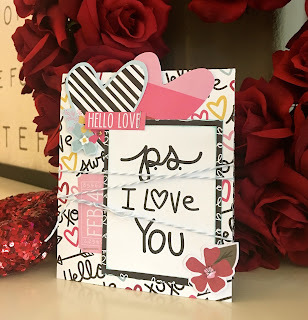 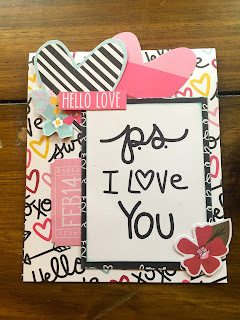 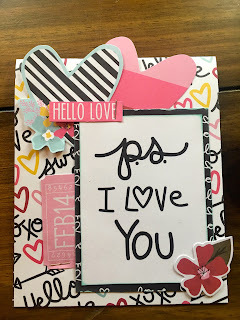 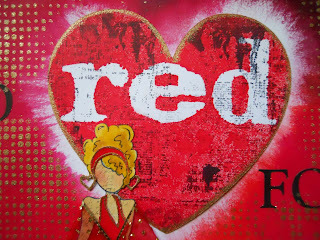 Today I have a quick and easy Valentine Card & Envelope tutorial for you. 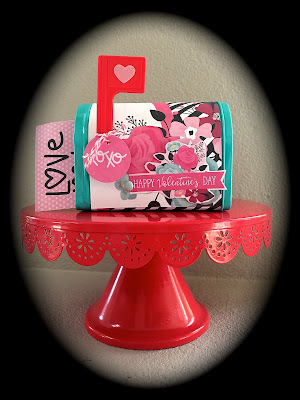 First step is to grab your We R Memory Keepers Envelope Punch Board and a sheet from the Photo Play Paper 12x12 So Loved Collection Kit. 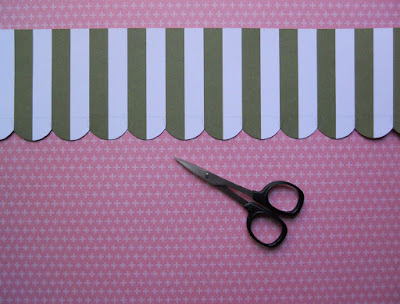 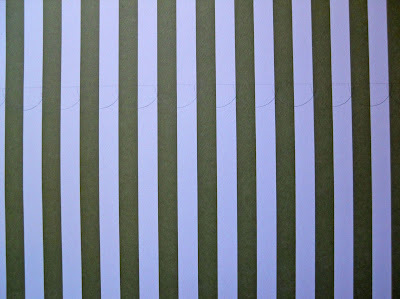 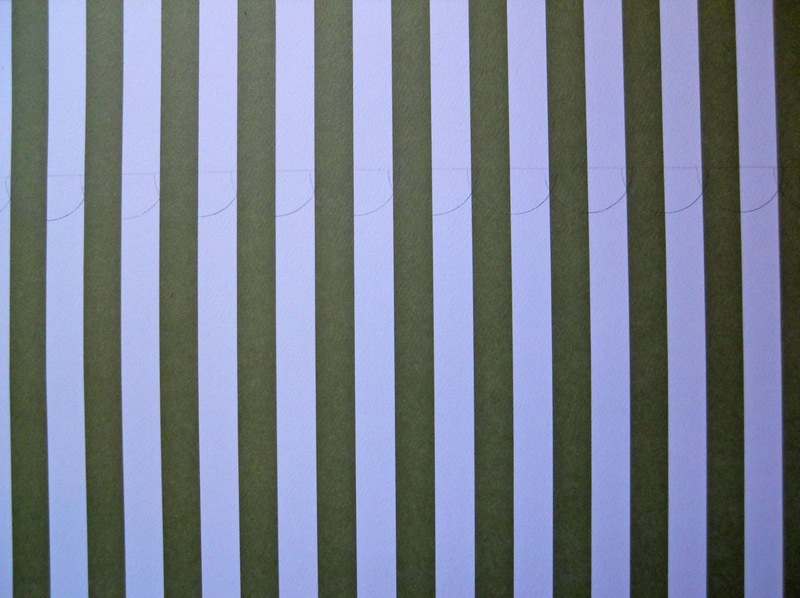 Decide how big you want you envelope to be and cut the paper down to the specified size. I chose a 3x4 envelope. Follow the instructions on the punch board. 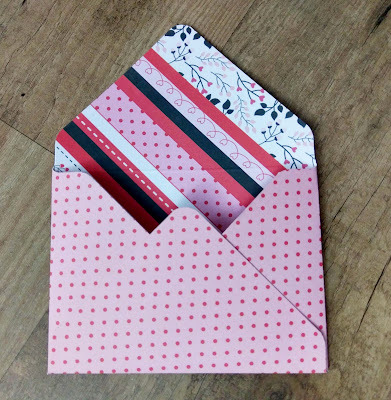 Once you have it punched, add some adhesive to the sides and secure them to the folded up envelope bottom. 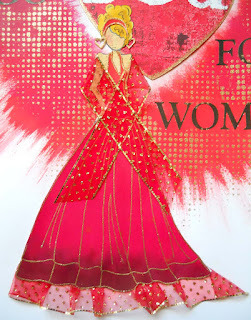 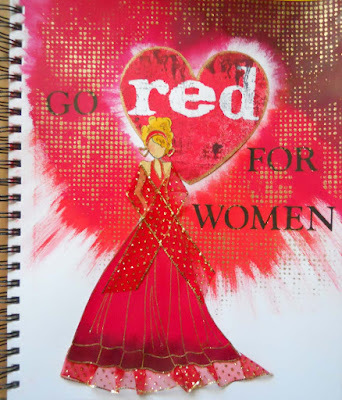 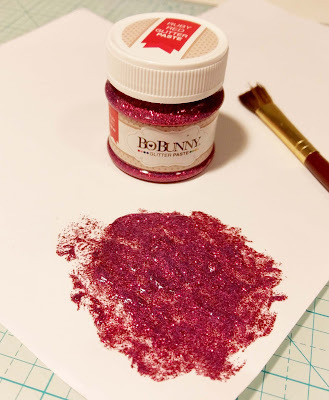 Next, grab some White Cardstock and your BoBunny Ruby Red Glitter Paste. With a brush smear some of the paste around, in a 2x2 area. Set aside and let dry. Once that is dry cut a heart out of it. 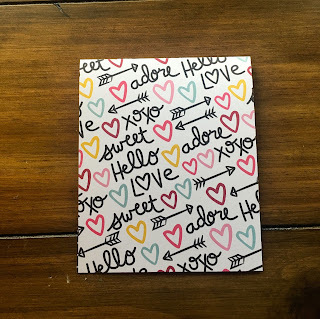 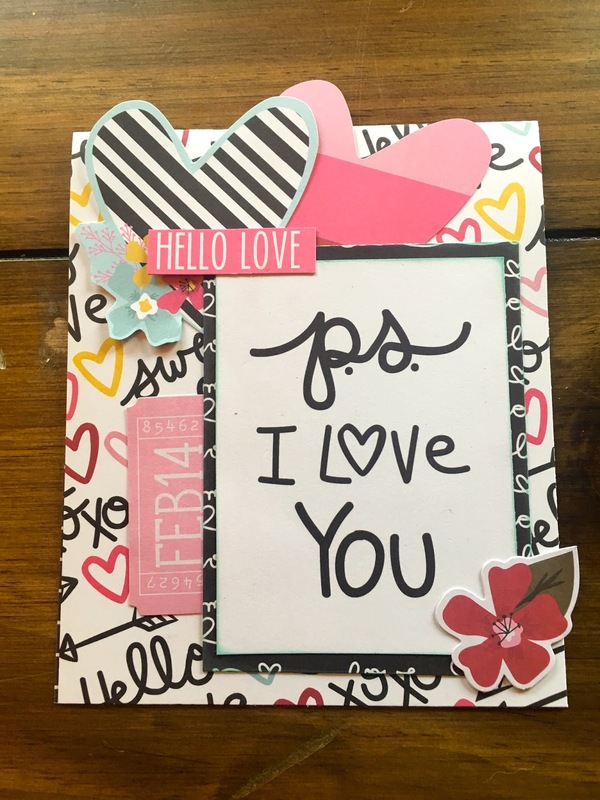 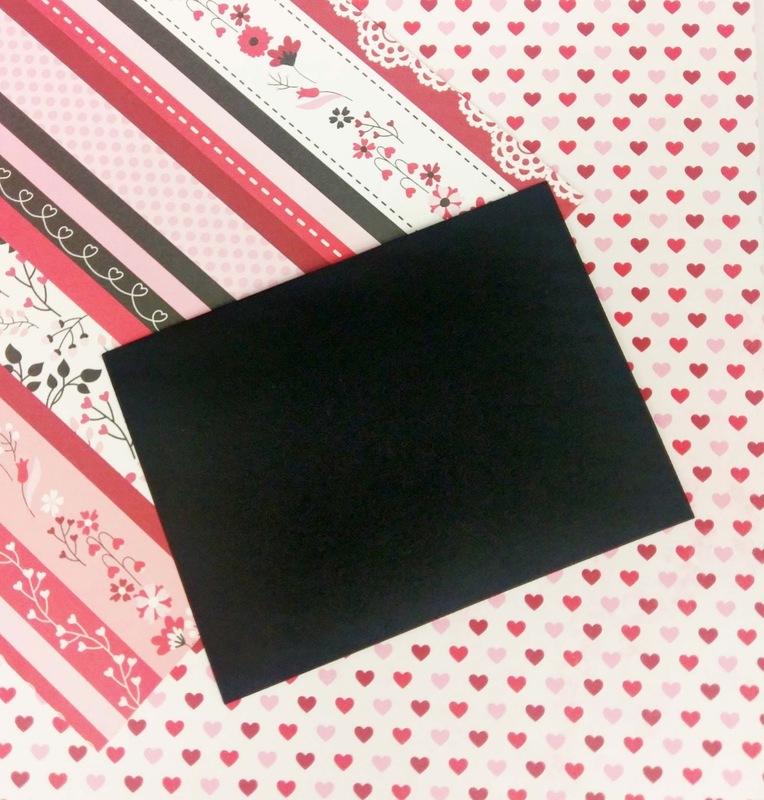 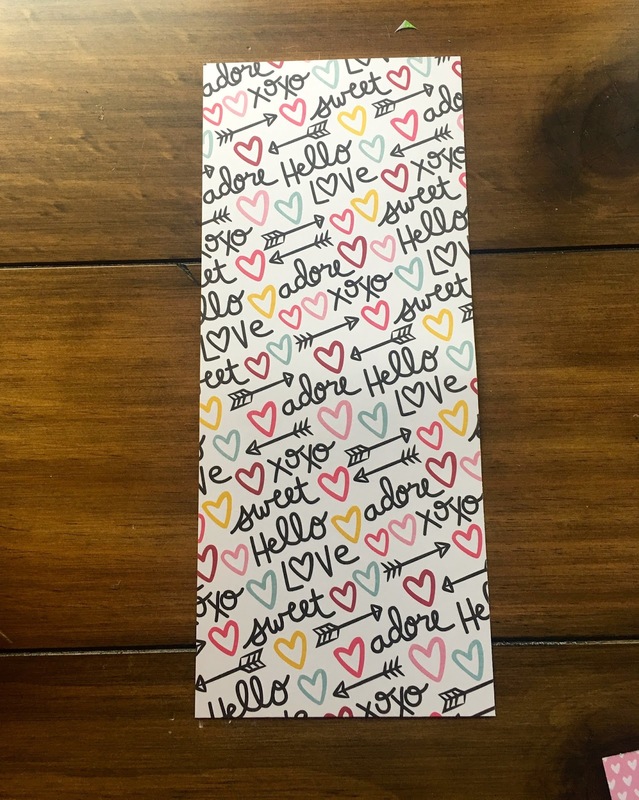 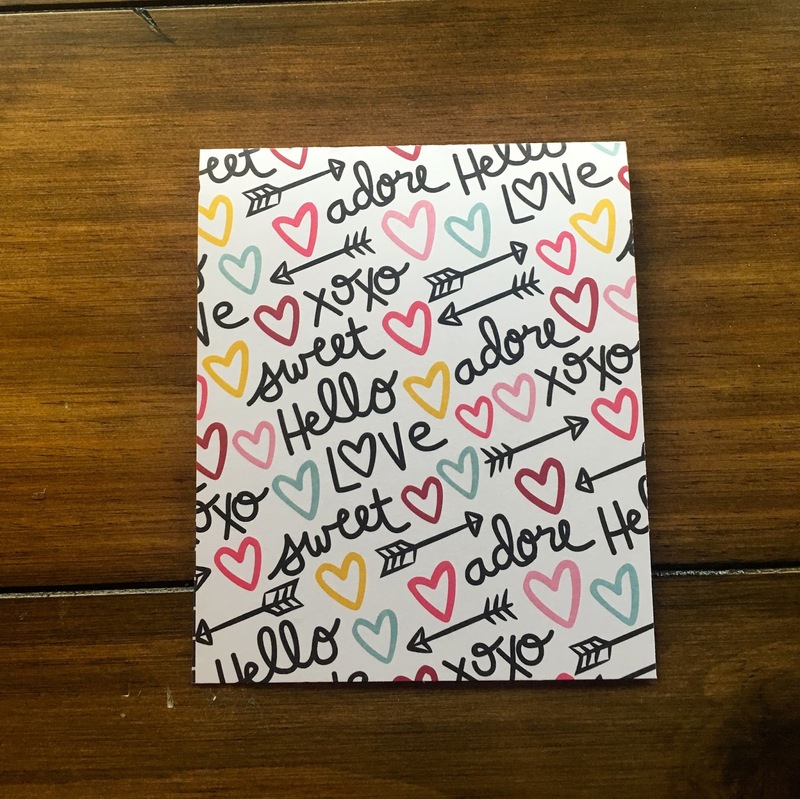 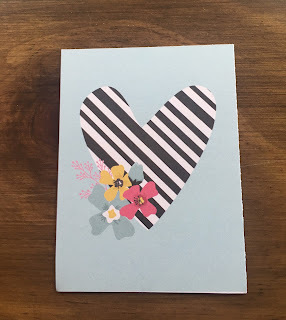 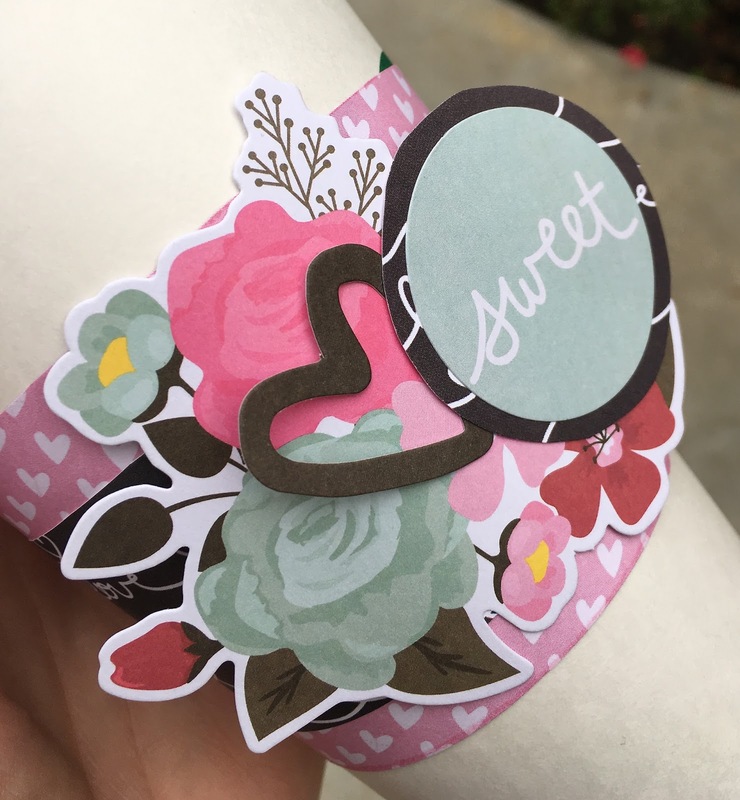 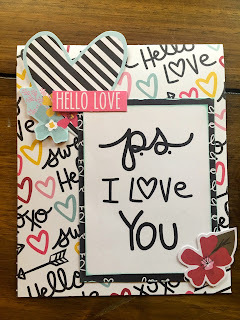 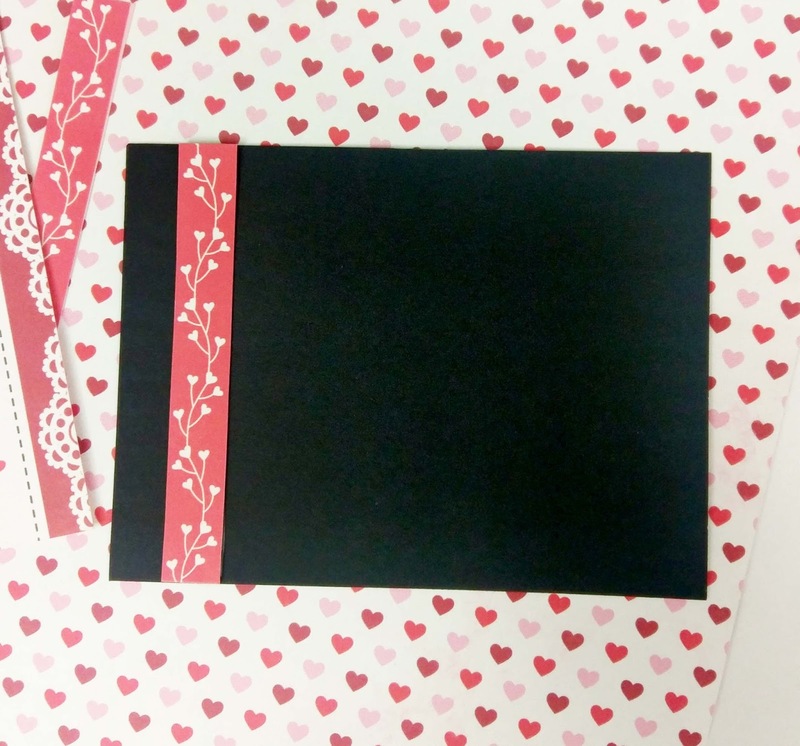 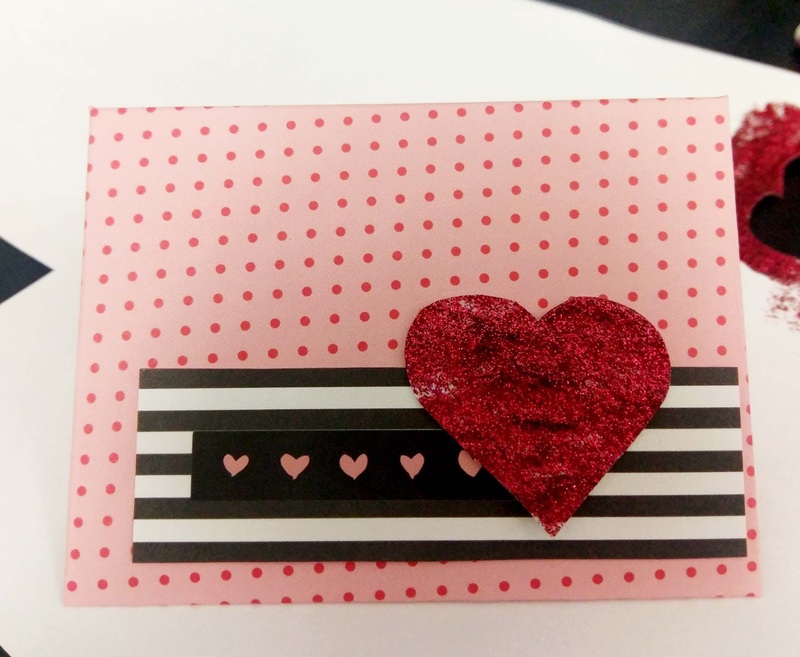 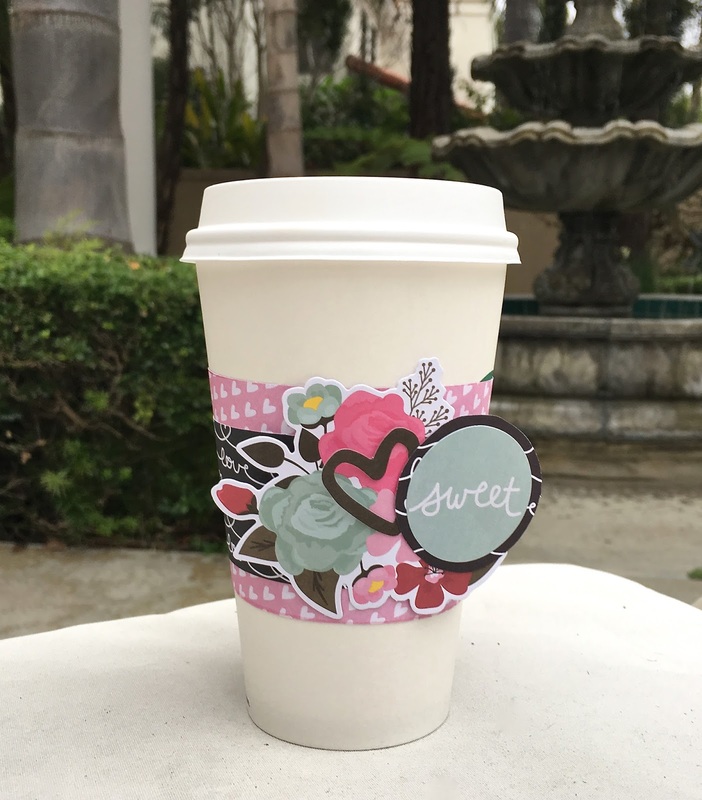 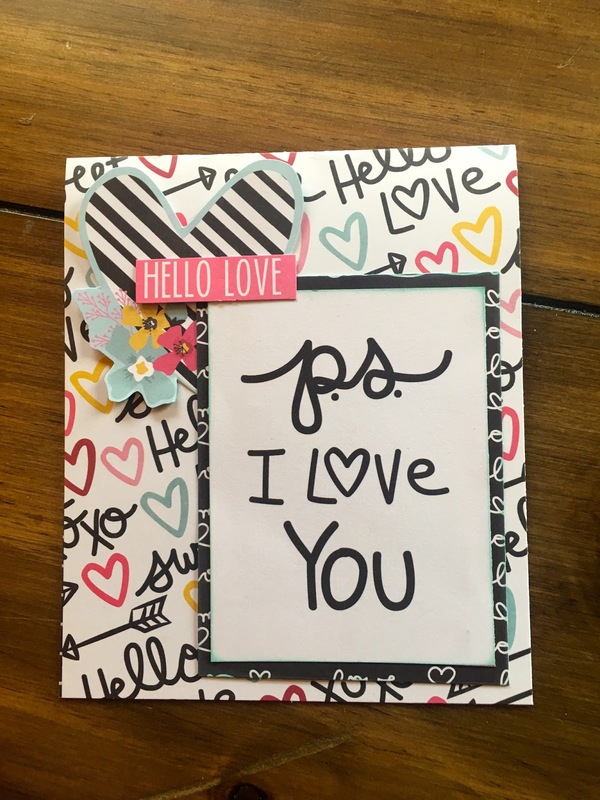 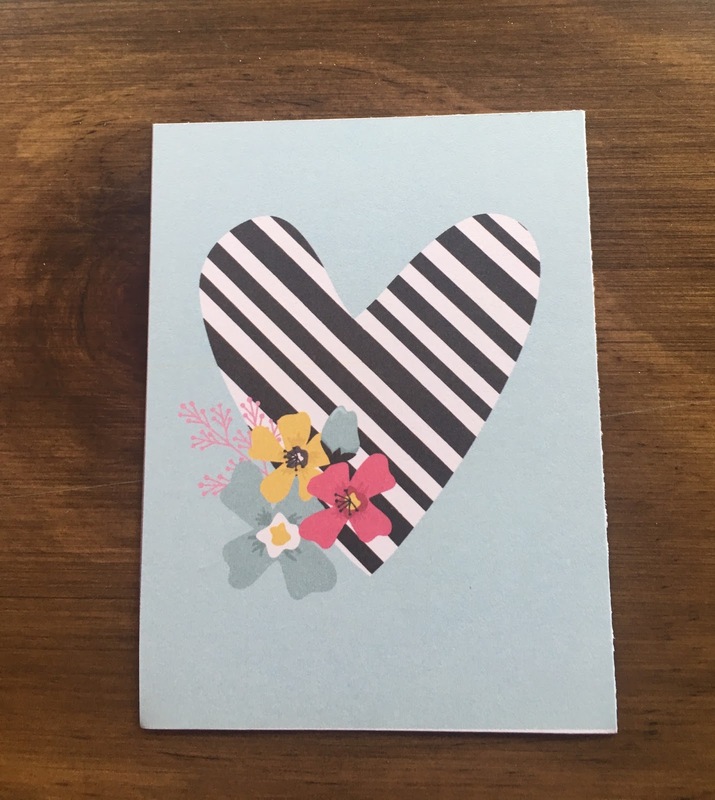 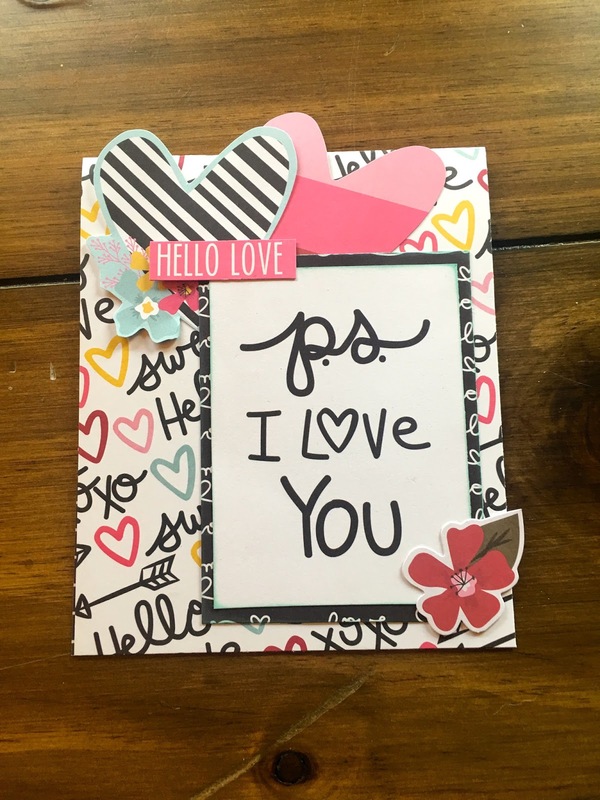 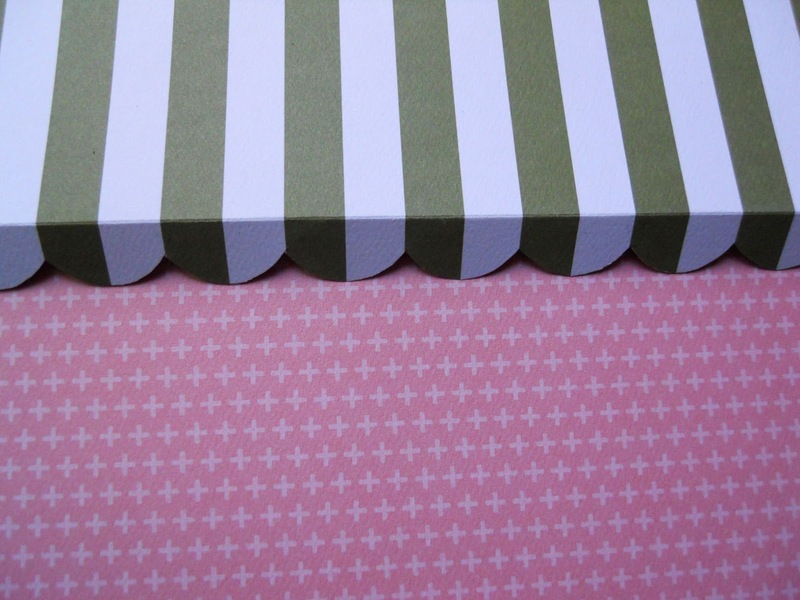 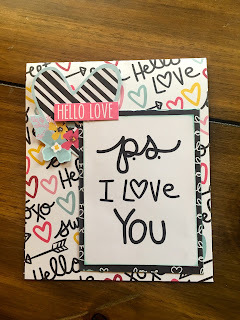 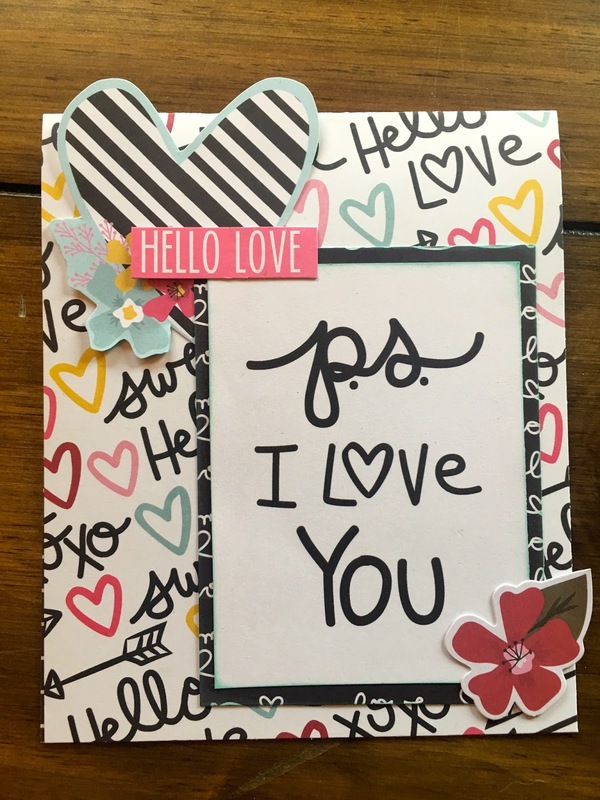 Decorate the front of the envelop with a strip of the Black & White stripe paper from your PhotoPlay Collection, and this heart sticker from the Sticker Sheet. 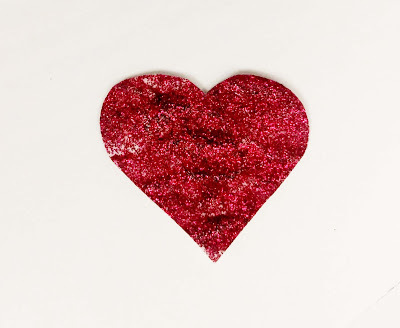 Top it off with the glitter heart. Now to make the perfect size card to fit in the envelope. Cut a 3x4 piece of black cardstock. 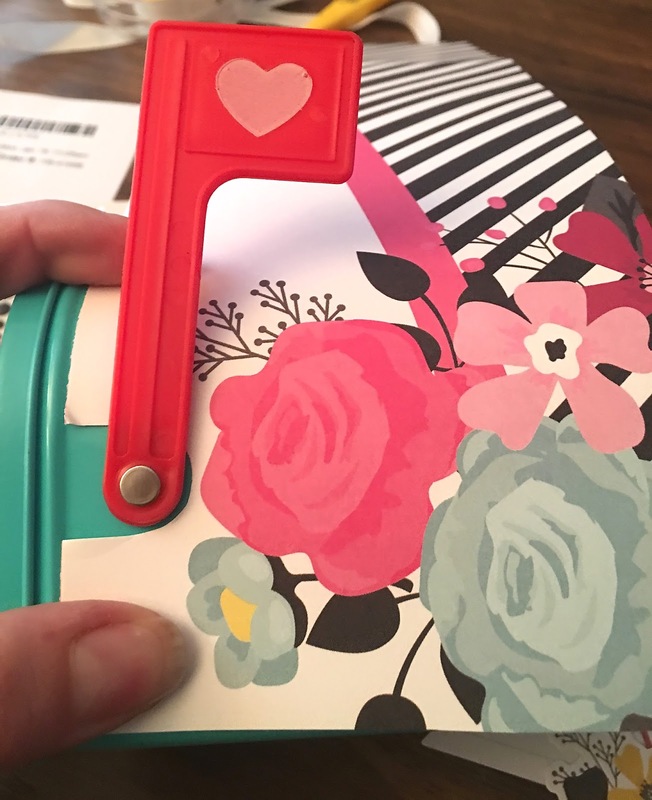 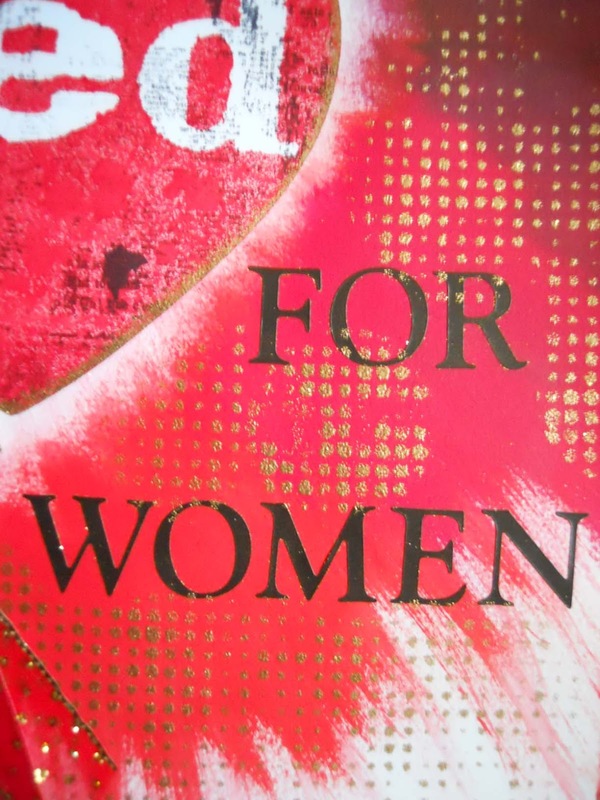 Cut a strip of the red heart vine print and secure to the left side of the card. Cut off the excess. 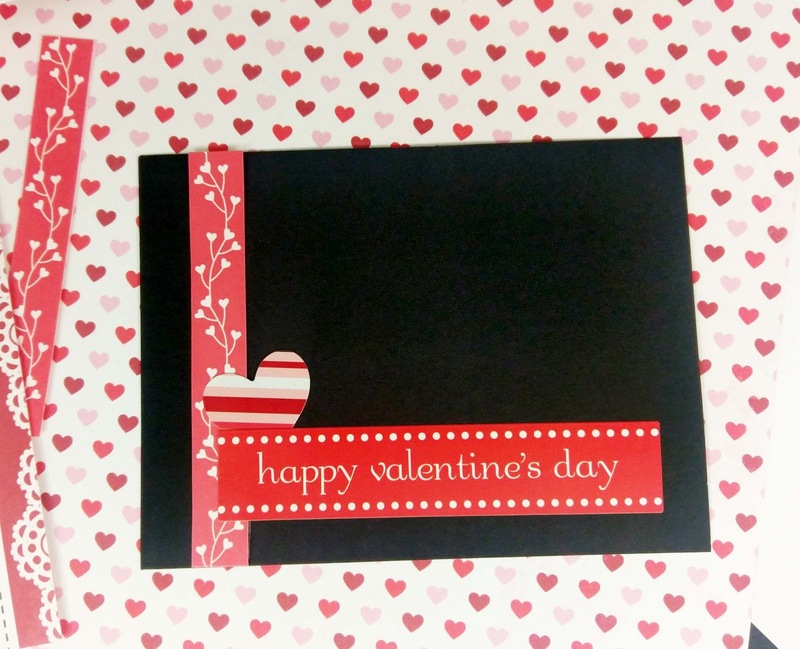 Grab a heart sticker and the Happy Valentine's Sticker from the sticker sheet and stick to the front of the card. 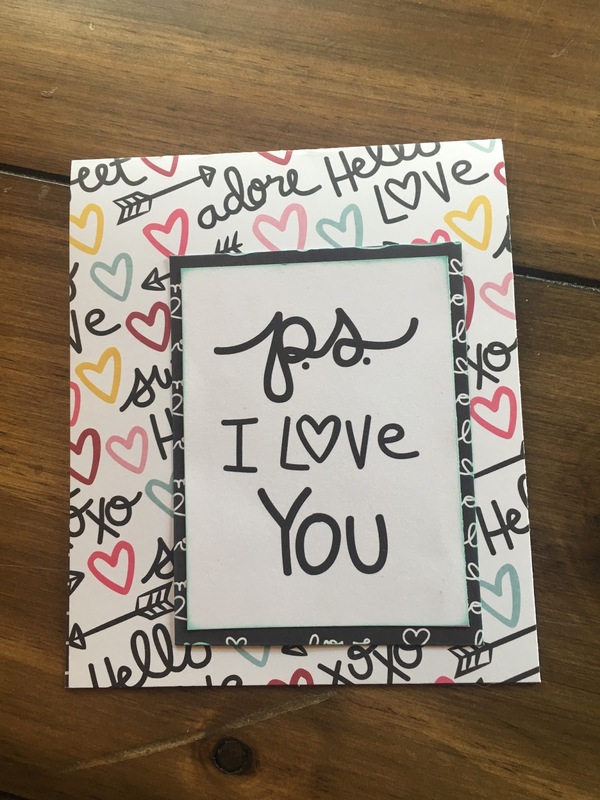 Your card and envelope are now done! 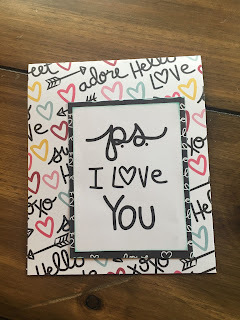 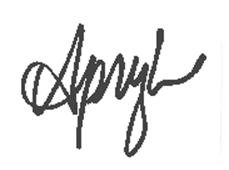 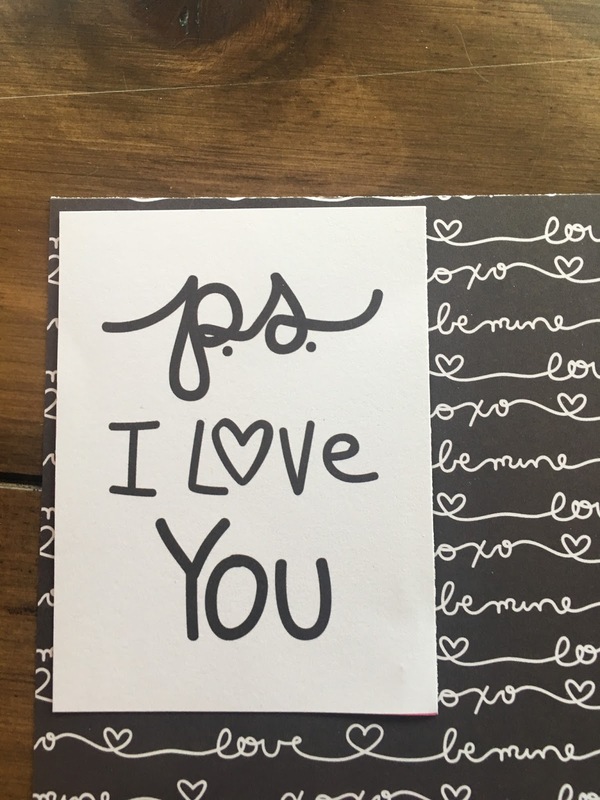 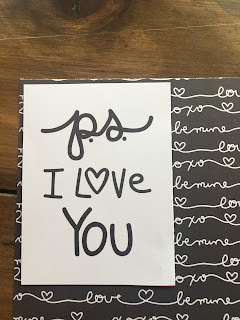 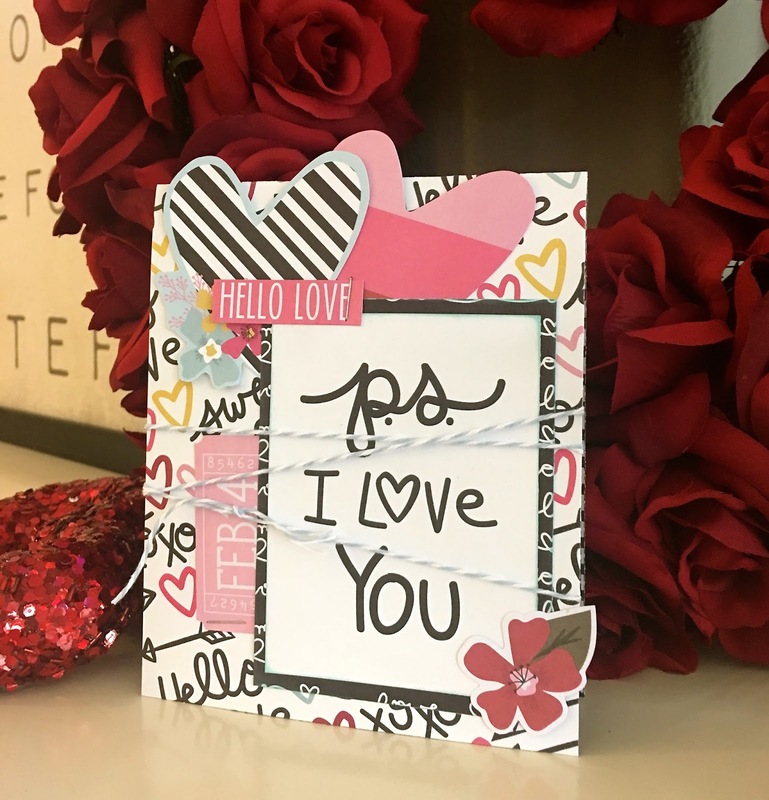 Find a white or metallic marker to write a note on the back of the card and you are ready to give it to someone you care about!